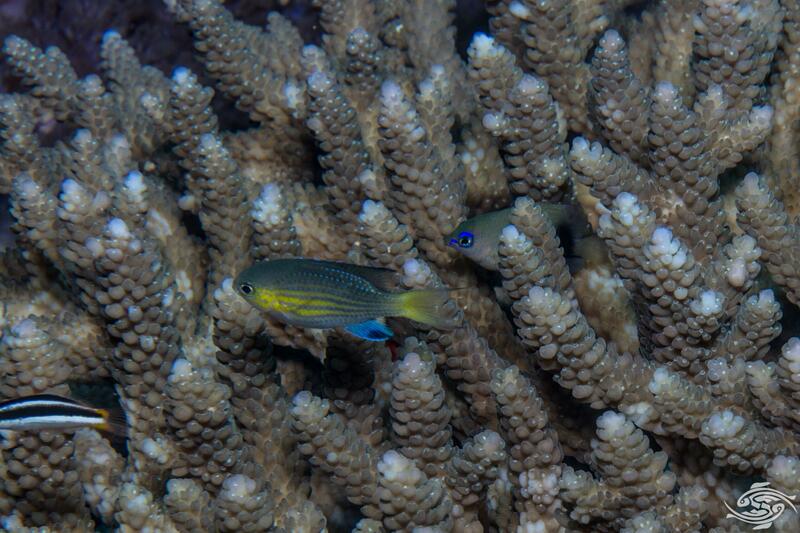 The Blacktail Chromis (Chromis nigrura) is very common on the reefs of Tanzania. 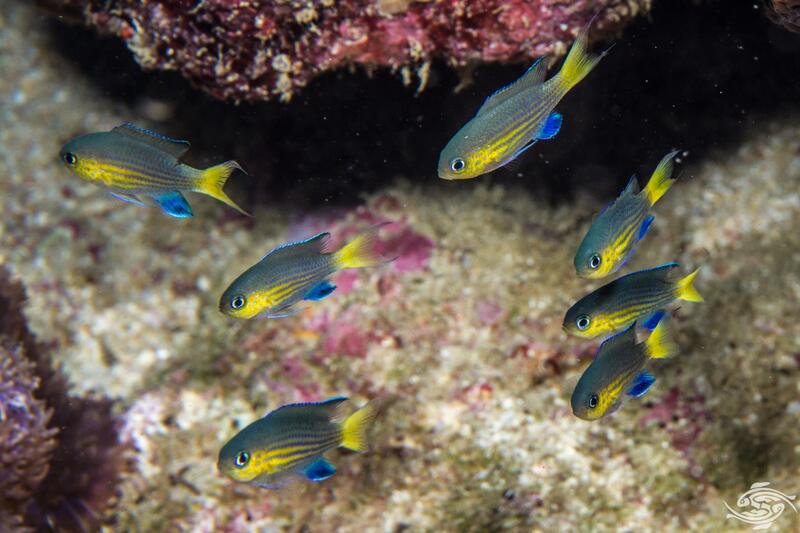 They are usually seen in small groups of between ten to fifteen fish, but occasionally groups of twenty to thirty are seen. 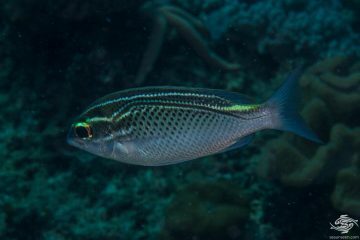 The body has an elongated oval shape with a round nose. The upper body is a blue green colour and this fades into yellow on the lower body. A series of six blue to dark blue dotted lines run along the body. 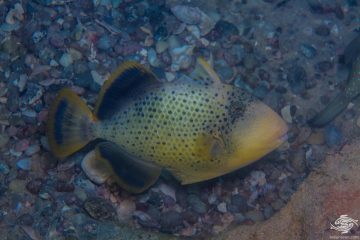 The caudal fin is yellow and forked with black edges on the tail, giving the fish its name. They grow up to 6 cm in length. 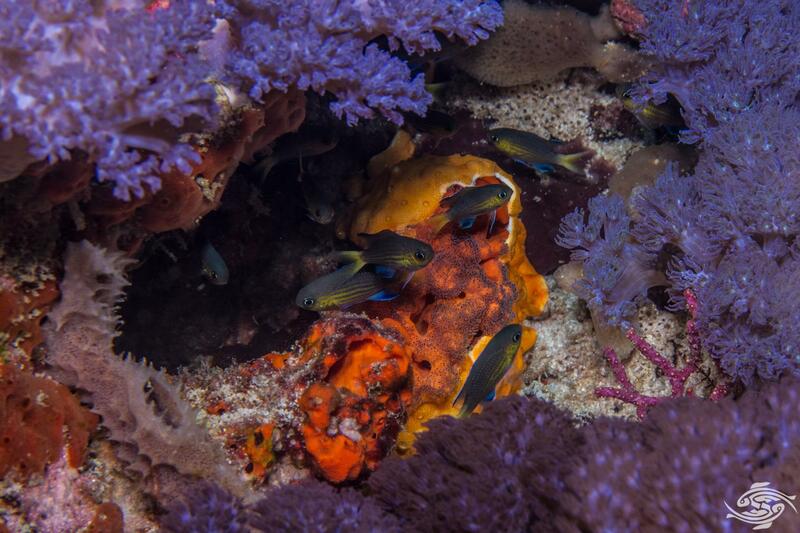 Blacktail Chromis are a very common fish on Tanzanian reefs. 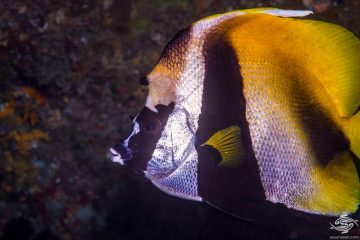 They are found from 3 meters to 30 meters, usually around a raised bommie, coral feature or rock with good hiding places. 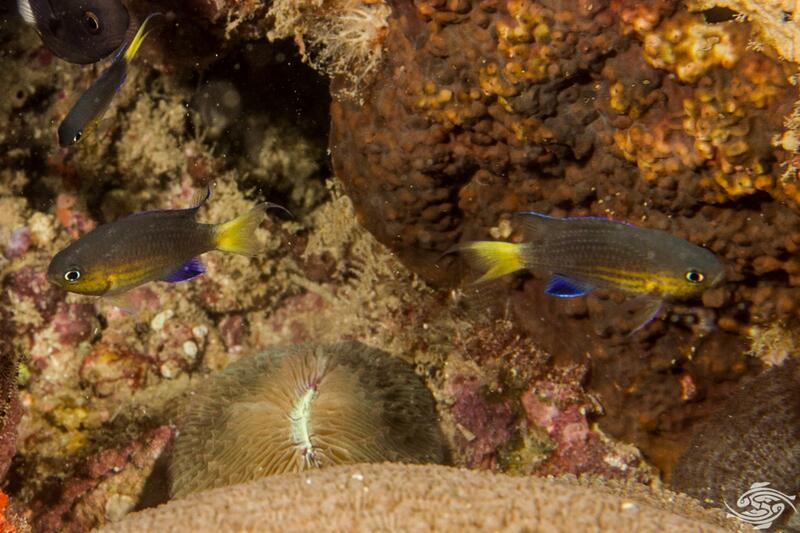 They swim around their hiding spot, darting upwards to catch zooplankton. 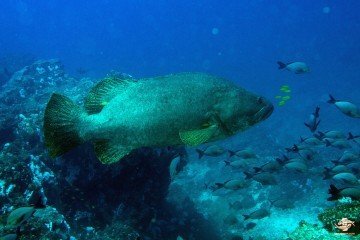 When a diver approaches the entire shoal moves into cover and quickly emerges once one backs away a bit. 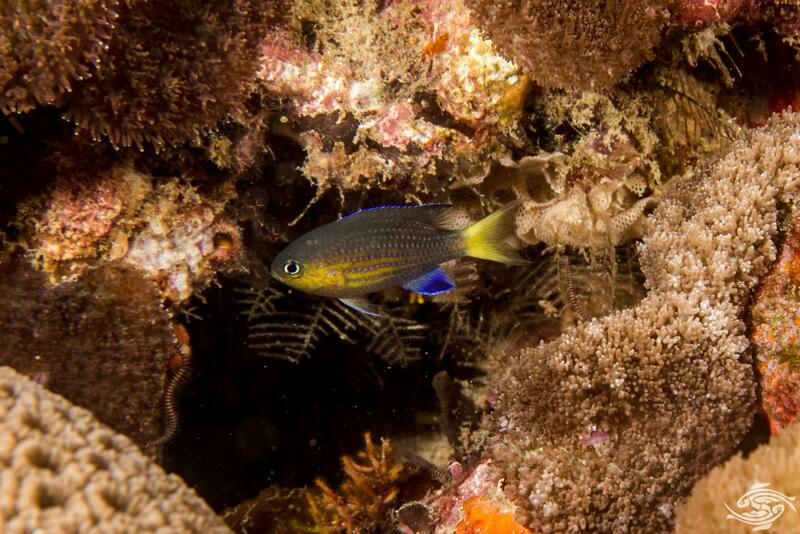 The Blacktail Chromis is found across the Indian ocean from East Africa down to South Africa across to Sri Lanka and Christmas Island. 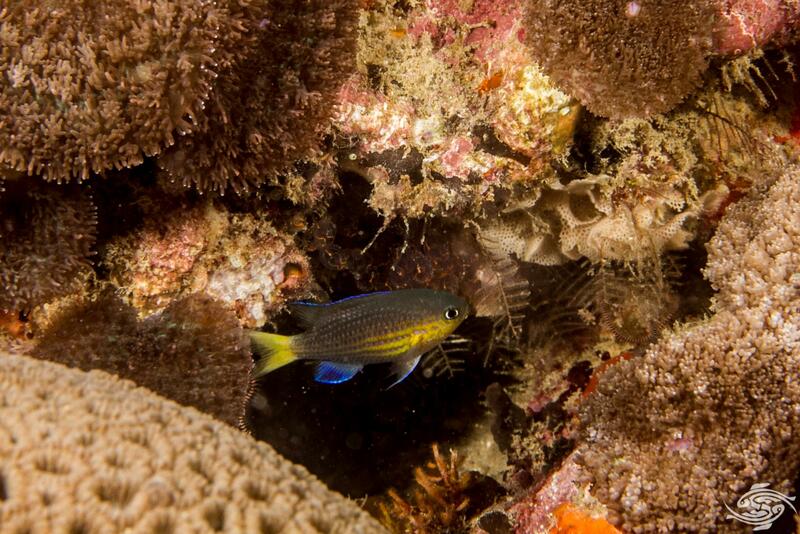 The Blacktail Chromis feed on zooplankton. 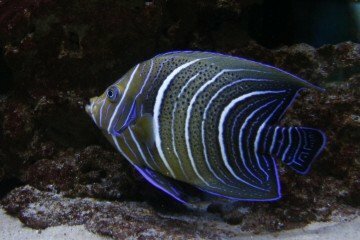 They are hardy fish and would be easy to keep in an aquarium. However they would undoubtedly become highly territorial. 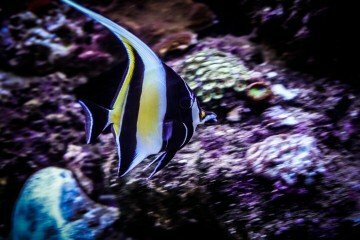 It is almost a certainty that they will harass and beat up more peaceful fish.